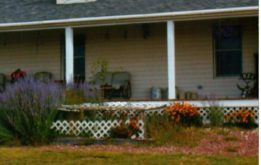 Robert [Bob] Brockman began his real estate career in Fort Collins,Colorado in the early 1970’s specializing in agricultural and recreational property in Colorado, Nebraska and Wyoming. Over the years he was involved with his family in residential and commercial development projects in Colorado and Wyoming. 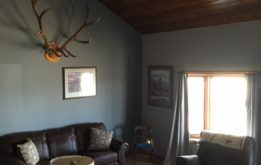 In addition to his Wyoming real estate brokers license, he is also a Certified General Appraiser in the State of Wyoming and has held similar licenses in South Dakota, Colorado and Nebraska. Robert also holds the coveted Accredited Rural Appraiser (ARA) designation, awarded by the American Society of Farm Managers and Rural Appraisers to those members with years of experience, technical training, have passed a rigid examination, and subscribe to a high code of ethics. Brockman specializes primarily in agricultural property rights appraisals and has completed many appraisals on specialty properties such as large feedlots, dairies, and livestock auction barns. He has been accepted in several Wyoming District Court jurisdictions and the Federal courts as an expert witness. Court cases have involved partition actions, eminent domain proceedings, estate issues, divorce proceedings, fractional interest values (partnership disputes) and others. Robert’s clients include many law firms, Federal and State entities, lending institutions, and individuals. A list of clients and qualifications is available upon request. Jalea is a licensed real estate agent and appraiser that has recently joined the Brockman family along with the family business. Jalea has spent the last 20 years in the medical industry as a nurse and a corporate project manager. These experiences have allowed her to travel and gain a diverse professional background in finance and corporate leadership. If you are looking for a new home, commercial property, or your next real estate investment Jalea can guide you through the process with knowledge and professionalism. Please contact Jalea at 307-331-3546 for your real estate or appraisal needs. Susan Fullmer is a licensed Real Estate Agent as well as a Certified Residential Appraiser. For the past twenty years, Susan has worked in numerous facets of real estate which include appraising, selling, specialized marketing, project coordinator on subdivision and commercial development projects. Susan spent the majority of her life in Laramie County where she and her family were involved in farming and ranching; her background in agriculture is vast. Susan’s experience, education, and her current involvement in the real estate profession make her a knowledgeable source of information. If you want to know about current market information and trends in the real estate market in Eastern Wyoming; call Susan, she loves to share her knowledge with people. Susan and her husband Michael have six children and three beautiful grand-daughters. In her spare time Susan enjoys spending time with their family and friends, camping, cooking and interior decorating. Please call Susan at 307-532-1520.